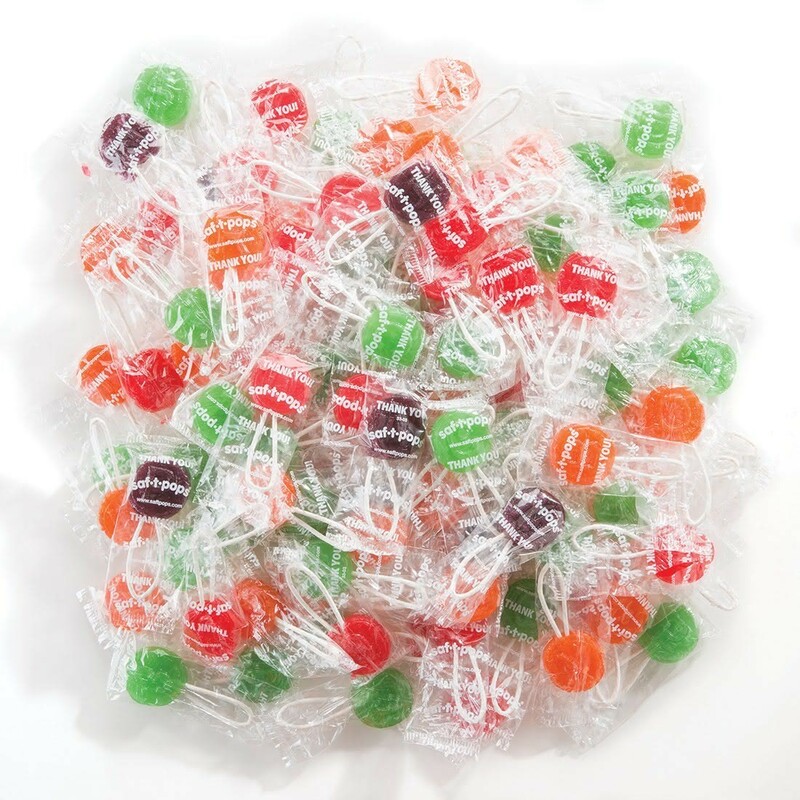 Assorted fruit flavored Saf-T-Pops feature a specially designed safety loop and say "Thank You" on the lollipop. Flavors include Sour Apple, Grape, Orange and Cherry. Ingredients: Sugar, Corn Syrup, Citric Acid, Malic Acid, Artificial Flavor, Color Added (includes Red 40, Yellow 6, Yellow 5, Blue 1). Free of Major Allergens, including: peanuts, tree nuts, milk, eggs, fish, shellfish, wheat, and gluten. 2 3/4" long, 1 1/4" pop.